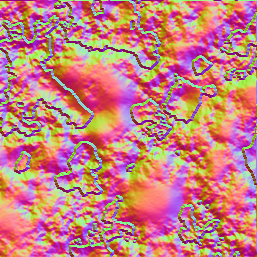 So I'm trying to generate a normal map from a grayscale height map. Unfortunately the result I am getting does not seem very correct. 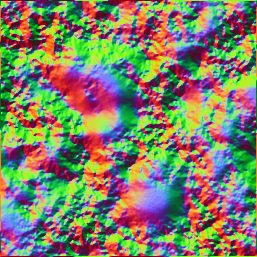 One thing I noticed on my normal map is that there seems to be edges. I'm not really sure why I'm getting these limits, does anyone know why?